3 days of waiting time required for refunding is too long. However, there are some benefits of necessitating the waiting time, it may be better to lower the waiting time to one (1) day, instead of three (3). The exchange must have a special eos account to cancel the voting rights, and give more security protection, can solve the problem of voting power chaos and theft. To make more people to attract to EOS Mainnet usage and dapp benefits. Creating a very simple tutorial with youtube and publishing it. Helping to contribute sufficient RAM For the EOS Network mainnet work loads. As well as creating a new era on Solar energy station. 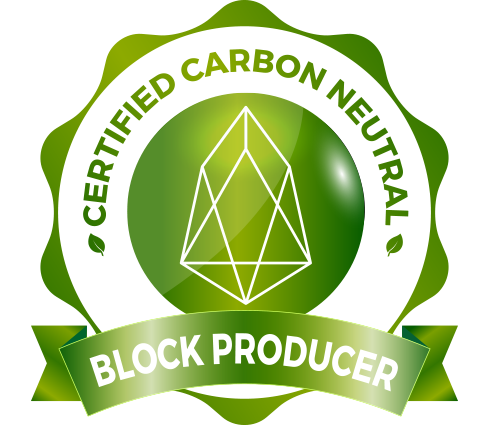 Should the EOS community adopt Block.one's constitution Intent of Code-is-Law or v2? Should eosinsiderio release a clue for the eossecretkey treasure hunt? Inflation distribution as incentive to encourage the more numerous small-holders voting. Should EOS replace the Worker Proposal Fund with Universal Resource Inheritance? Are you in favour of BP offering a rebate to its voters? Are you in favour of changing voting weight to 1 token 1 vote? Should EOS adopt a new constitution more aligned with Block.one’s proposed v2.0? Block.one’s proposed constitution opposes the interim (v1.0) constitution; it's a clash of two different philosophies. “Intent of the code is law” is represented by Block.one’s proposed v2.0 versus the philosophy of “code is not law, law is law” employed by v1.0. Both are partly subjective, but greatly differ in the scope where this subjectivity can be applied. Do you support base layer arbitration?